I hope you all enjoy your Thanksgiving Day (tomorrow) with friends and family, being thankful and grateful for what you have! 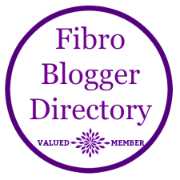 Writer of Living with fibromyalgia, things that inspire me to be a better person, and how I try to learn something new every day. Thanksgiving is a time for expressing thanks and counting our blessings. Studies indicate that expressing gratitude leads to happiness, so being grateful can help make the world a happier place. Even if our lives are not perfect, we should all find something to be grateful for, no matter how big or small. And while we may not always have control over what happens to us, but we do have control over our attitude and how we respond to situations. So let’s have an attitude of gratitude not just this week, but year-round. It matters not how strait the gate. How charged with the punishment the scroll. It’s funny how I keep seeing the phrase “attitude of gratitude” like it’s a sign! This morning I opened a magazine and saw an article with that same title. According to Dr. Mary Ann Weaver, focusing on the good helps fight stress and depression. Happy people have stronger immune systems, sleep better, and have fewer illnesses. So keep expressing gratitude! Write it down. Think good thoughts at bedtime. Volunteer your time. Express gratitude to others.